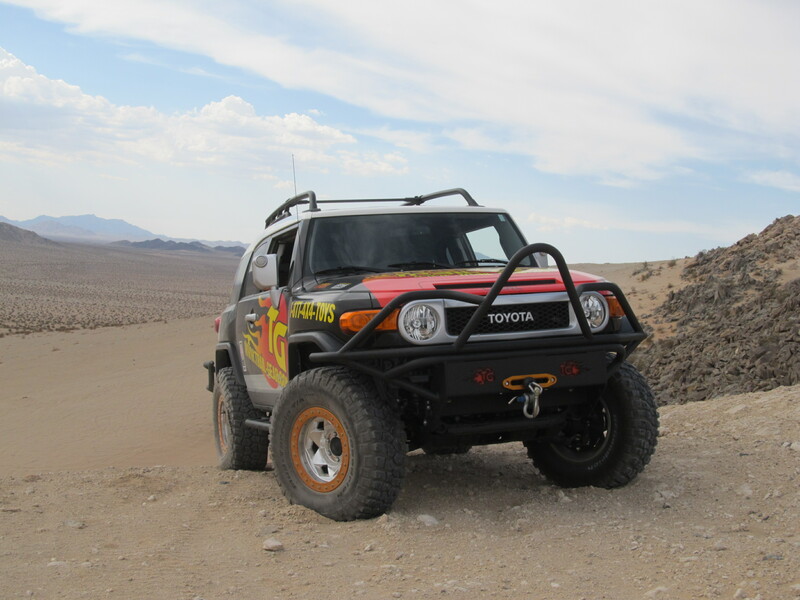 Fresno, CA- Trail-Gear, Inc. is now offering their signature armor for FJ Cruisers. Trail-Gear is releasing their complete line of Rock Defense™ trail armor for FJ Cruisers today (Friday, July 13). The line consists of two styles of front bumper with optional skid plate upgrade; as well as a rear bumper with optional additional support tube kit. Consumers may choose to outfit their FJ Cruiser with the full armor pack that includes a choice of standard or low-profile front bumper, with the FJ Cruiser Transfer Case Skid Plate, FJ Cruiser Rock Sliders and FJ Cruiser Rear Bumper. The Rock Defense™ FJ Cruiser Front Bumper features a stinger and stinger support tubes for full front end protection. The Rock Defense™ FJ Cruiser Low Profile Front Bumper offers a sleeker design without the stinger and stinger supports. The Rock Defense™ FJ Cruiser Rear Bumper, in addition to offering excellent protection from damage, has been tested and meets the tow rating requirements for SAE J684 and V-5 Class 3 (5,000 lbs.) GVWR. All three of the bumpers will fit will fit FJ models made from 2006 to 2012. They are constructed with 1.75″ x .120″ wall, DOM material. The bumpers are bolt-on products which do not require any cutting or welding for installation. They come raw and ready to customize with whatever surface treatment the consumer chooses. 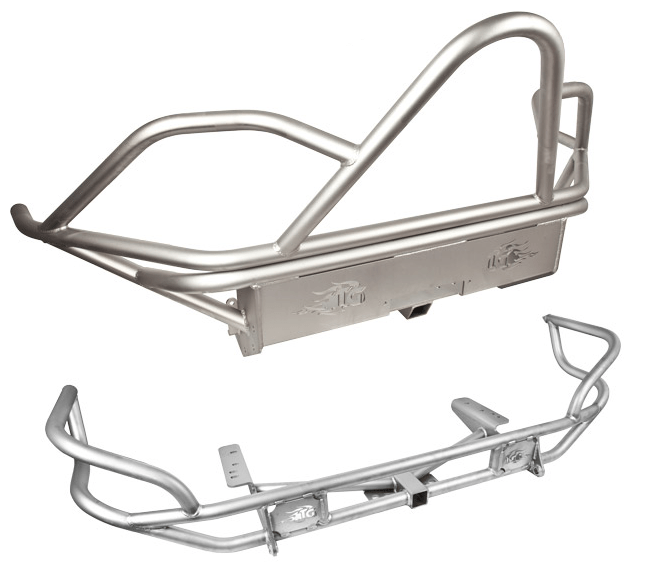 Trail-Gear is also offering some upgrade options on both the front and rear bumpers for extreme wheelers. Both Rock Defense™ FJ Cruiser Front Bumpers can be fortified with an optional, add-on skid plate. The skid plate bolts on to the underside of the bumper and offers some additional protection when taking on trail obstacles. The Rock Defense™ FJ Cruiser Rear Bumper can be bolstered with the addition of the FJ Cruiser Rear Bumper Support Tube kit. This kit offers extra protection and support to the rear end when attacking the trails. Installation requires trimming the exhaust pipe and welding the supports in place. Trail-Gear is donating the first set released to the public to the FJ Summit taking place in Ouray, Colorado, July 18-22, 2012. The FJ Summit is an annual national gathering of enthusiastic off-road Toyota 4×4 owners and fans. To date, the event has 274 vehicles and 588 people registered to attend this year. Trail-Gear representatives will be on-hand with the TG FJ Cruiser, an official Trail-Gear test vehicle, to hand over the first Trail-Gear FJ Cruiser Armor Pack to one lucky raffle winner. All design and development for the bumpers was done at Trail-Gear, Inc. in Fresno, California. Trail- Gear exhaustively tests their products at some of the world’s hardest courses, such as “The Hammers” in Johnson Valley, California and the Rubicon Trail in Lake Tahoe, California. Interested parties may purchase the Rock Defense™ FJ Cruiser Bumpers from any authorized Trail-Gear dealer or via the Trail- Gear website www.trail-gear.com. The Rock Defense™ FJ Cruiser Front Bumper retails for $599, the Rock Defense™ FJ Cruiser Low Profile Front Bumper retails for $499 and the Rock Defense™ FJ Cruiser Rear Bumper retails for $499 on the Trail-Gear website. The optional Rock Defense™ FJ Cruiser Front Bumper Skid Plate and Rock Defense™ FJ Cruiser Rear Bumper Support Tube kit retail for $99 and $79, respectively on the Trail-Gear website. The FJ Cruiser Armor Pack with Stinger retails for $1459.80 and the FJ Cruiser Armor Pack with Low Profile retails for $1369.80 on the Trail-Gear website. For more information about the FJ Summit, log on to www.FJSummit.org.